When will be Going Cambo next episode air date? Is Going Cambo renewed or cancelled? Where to countdown Going Cambo air dates? Is Going Cambo worth watching? 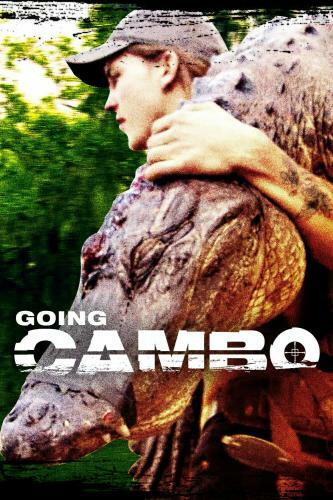 Going Cambo is an unscripted series that follows Cambo, a 20-something, self-taught survivalist who teams with his friend, American hip-hop performer-producer Yelawolf to give a guest the opportunity to embark on a 48-hour adventure in the backwoods of Alabama with only the clothes on their back and Cambo's well-used Slumerican buck knife. The 48-episode series comprises 6-9 minute episodes. Going Cambo next episode air date provides TVMaze for you. EpisoDate.com is your TV show guide to Countdown Going Cambo Episode Air Dates and to stay in touch with Going Cambo next episode Air Date and your others favorite TV Shows. Add the shows you like to a "Watchlist" and let the site take it from there.